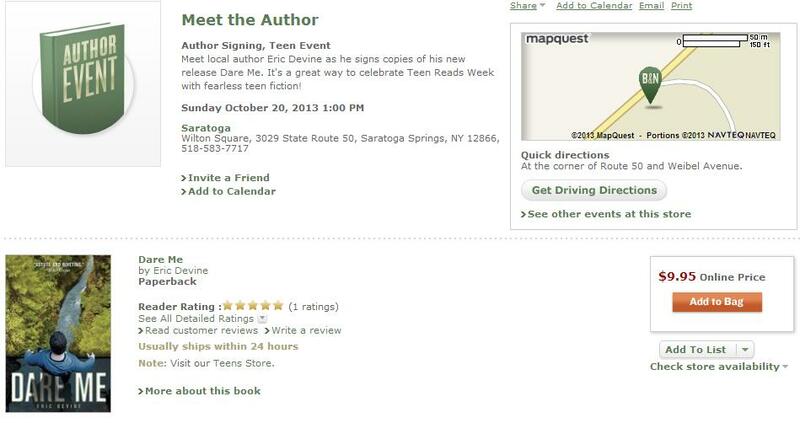 On Sunday, 10/20, I will be at Barnes and Noble, Saratoga from 1-3, to bring an end to Teens Read Week. The Young Adult Library Services Association (YALSA)–who put Tap Out on their reluctant reader list— and Barnes and Noble have teamed up again to celebrate all things YA lit related and I’m happy to be a part of the week. If you’re in the area and want to support our local teens, stop in and get a copy of Dare Me signed. I promise it will be worth your while.